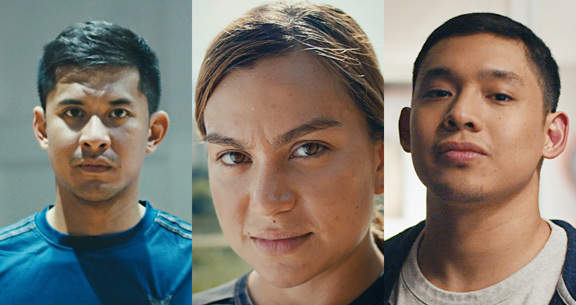 One does not need to be a basketball superstar to be an all-star, according to a motivational video by a leading insurer. A motivational video, entitled ‘Take Charge,’ enumerates the qualities that make a winner. Axa recently unveiled a motivational video, #TakeCharge, which enumerated qualities that make a winner. Never stop grinding. Winners never quit, quitters never win. Becoming an all-star means that you never stop training. Explore the extremes. Never underestimate how far you can go. Try new things, test your skills, and strategize to fulfill your potential. Trust the process. It’s good to strive for good results, but what’s more important is the process, how you become better at what you do. Whether you’re a leader, athlete, or parent, it is important that you frequently remind yourself why you do it. When you prioritize the process, you seek feedback, mentoring, and coaching, even when you’re at the top of your game and you become better for it. Don’t make excuses. Blaming everyone else won’t get you anywhere. Instead of pointing fingers and making excuses about why you aren’t happy or successful in your life, own your mistakes and learn from them. After all, mistakes in life also teach us valuable lessons. Always be prepared. Being prepared is the key to being an all-star. Champions are always five steps ahead. Having a game plan is the best way to do this. The earlier you prepare, the better. Axa encourages people to always be prepared for any unforeseen setbacks by taking out insurance for all that they value: their lives, their homes, their business, and their assets.